Hosiah Tagara will team up with other leading entrepreneurs and professionals, including Best-Selling Author® Jack Canfield, to release the new book, The Recipe For Success, a collaboration of expert advice on achieving success written by authorities from a diverse selection of industries. Dallas, Texas – December 5, 2018 – Founder Of WealthMasters Global, Hosiah Tagara, recently signed a publishing deal to co-write the forthcoming book titled The Recipe For Success, published by CelebrityPress® LLC. In addition to Tagara’s expertise, the publication features content from world-renowned entrepreneur, professional speaker, and Best-Selling Author® Jack Canfield. The book will be released under the CelebrityPress® LLC imprint, a leading business book publisher that publishes books from ThoughtLeaders® around the world. Hosiah Tagara was selected to be in the book because of his commitment to professional success and willingness to share his vast knowledge. His expertise in the business industry makes him an asset to the publication and will surely benefit a wide range of readers. Hosiah Tagara is a catalyst of “becoming” and transformation expert. He is the Founder Of WealthMasters Global. A marketplace initiative that is igniting the spirit of marketplace dominion through market skilling, opportunity listing and investment mobilization in and for Africa. A business man and an economist by professional training .Hosiah Tagara is a business and life coach to many WealthMasters, government leaders and captains of industry. His insight, ideas, models ,templates and wisdom in problem solving has given him audience and engagement with key leaders in the continent of Africa including Heads of State. He is also the founder of HTI Consultancy Inc. He is also a Co-founder of TexAlytics Inc, a specialized Business Intelligence (BI) outfit offering high value strategic advisory services to businesses and public entities for profitable growth. He is a published author of several books including The Purpose Powered People, The Dominion Masters and Built On The Rock among many other titles. He is a principle author and contributor to the world’s first ever Marketplace Bible. He is a highly sought after international conference speaker who has been in over twenty countries across America, Africa, Asia and Europe. He is a member of the NATIONAL ASSOCIATION OF EXPERTS,WRITERS AND SPEAKERS in USA. 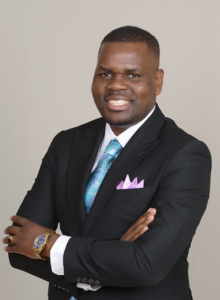 He is the Founder Of Beam Of Hope Churches International ,a network of churches with branches in Zimbabwe, Zambia, South Africa and Canada .His passion is to help people, organizations and communities becoming the fullness of who they are suppose be through value creation and maximizing capacity. Hosiah Tagara is married to Premadonah Tagara and they are blessed with two children; Tehillah Grace and Eminent Hosiah Jnr.